The activities of family life can be overwhelming. Man was created not to be overwhelmed by family life, but to be overwhelmed by God’s love and to embrace family life in union with God. God instituted the family as a domestic church to reflect his covenantal relationship, to be co-creative with him, and to drawn all to him. These are the critical aspects of family life. To the domestic church God bequeathed, through the marital union, the ability to be co-creative in union with him and bring new life into the world. To shun this co-reactive aspect of the marital union is to shun God, his creation, and his love for mankind. The covenantal relationship of the marital union makes no sense if the co-creative aspect of the marital union is absent. The heart of God’s domestic church is catechesis. The domestic church is to catechize within, with each family member responsible for catechizing the others. Each within the domestic church has a responsibility to draw others within the family closer to God. 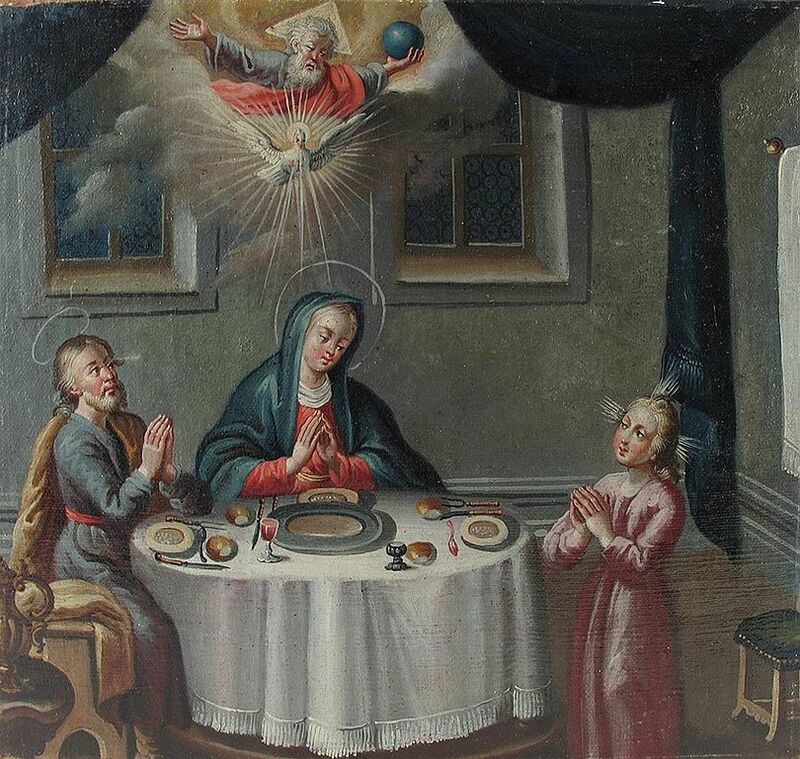 Furthermore, the domestic church is to catechize, though the way they conduct their family life, those who come in contact with them, thereby bearing witness of God’s love to others. These are the critical aspects of family life; other aspects are important and should be attended to, but should not overwhelm nor hinder the covenantal, co-creative, and catechetical nature of family life. To avoid being overwhelmed and remain focused on these critical aspects, time should be taken to worship and pray as a family. Likewise, individually time should be spent in prayer and silence with God to discern individual callings to serve others within your domestic church. This entry was posted in Essays and tagged Bearing Witness of God’s Love, Catechesis, Catechize, Catholic, Catholicism, Christian., Christianity, Domestic Church, Family Life, Family Prayer, Family Worship. Bookmark the permalink. Thank you – I’ve never thought of the family as the domestic church before. But, of course, it is. Reblogged this on Roti N Machali [The Bread and Fish].